I’m a fan of Bulleit bourbon. It’s a straight forward, unabashed whiskey that’s perfectly suited for decent cocktails and sipping alike. So when I got the chance to try Bulleit 10 bourbon, the big brother of the Bulleit line, I was excited — would this bring additional refinement to an already satisfying dram, or was it simply a marketing gimmick? I’m happy to say it’s the former. Bulleit 10 comes with quite the presentation. There’s a big orange box, a paper leaflet showcasing the the label, and a detailed history discussing the “frontier” nature of this bourbon (something which I can confidently say Bulleit is very proud of). Once you brush off all the pomp and get to the bottle, the simple off-white label and orange 10 are the only thing to distinguish it from its little sibling. Is it similar to Bulleit proper? Sure. But right away on the nose you can tell that in spite of the familial likeness, Bulleit 10 is its own bourbon. The oakiness is the real star of the sniff show — the decade of barrel aging has obviously left an impact. Beneath that, there’s a warm citrus, like a clementine and a strong whiff of fresh tobacco — something the younger Bulleit distinctly lacked. The taste is quite good as well — the wood is far more pronounced, almost aggressively so (which I’m actually not opposed to — think Knob Creek 9). The orange shows up, but not as vibrant as Bulleit proper. Where its younger kin was heavy on the charcoal, it’s more subtle in Bulleit 10, which has a more earthy (remember the tobacco?) undertone to it. Overall, it brings a lot of what I already liked, made it more refined, and added some of its own flare. Bulleit 10 is a good bourbon. There is one hitch, however. At nearly $50 CAD, it’s at the upper end of the spectrum for quality bourbons. So the question is this — is it worth the price? Honestly, for Bulleit fans, I think it’s worth a try at least once. While it may thin your wallet a bit more than you’d like, it’s a great experience to see what the extra age and refinement can do to a whiskey (I hope you’re reading this everyone making “No Age Statement” drinks). 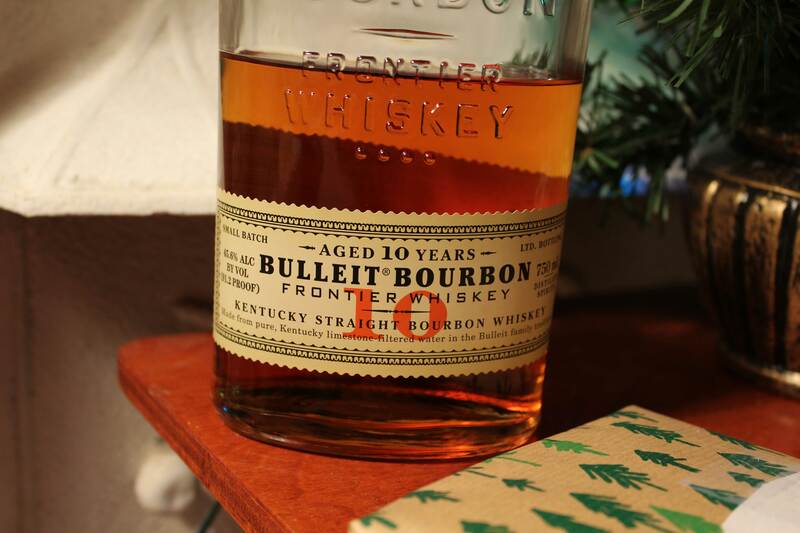 If you have the means, grab yourself a bottle of Bulleit 10 — it pulls its weight as a bourbon worth sipping slow.